Thank You Brianne at Hachette Book Group for allowing me to host this giveaway.I will be giving away 5 copies of Michael Jackson:The Magic,The Madness,The Whole Story by J.Randy Taraborrelli. 1-This giveaway is open to residents of the US and Canada only,and closes on July 28th 2009. I will pick FIVE lucky winners and will do a post announcing the winners here and will also e mail the winners individually.AND I am hosting my own giveaway for one copy to one international reader/follower in the form of an Amazon Gift Card.Please include "International" in your comment.If you're not a follower already you can become one by checking out the "followers" tab in the sidebar. I would love to get this book for my big sister! She's been a die-hard fan since she was 5. She cried like a baby when he died. You wouldn't believe the number of phone calls and txts she got just after. This is a very timely giveaway. Please enter me! Follower signed up under my new handle. I would be very interested in reading this book! Please enter me. Oh i'd love to read this one, thank you! I'd love an entry for this book. I am a current follower and a subscriber also. I would like to add this to my collection, thanks! I'd love a chance to read this book. The author has a history of writing interesting expose's of stars. After hearing all the hype on Tv, I'd much rather read this book filled with facts. Count me in for this one Yvette. You cannot imagine how much I'd love to read this book! I bet this would be an interesting read all things considered. Please don't enter me in the contest though. Can't wait to see what you think about it. Thanks! Ahhhh Michael.... I grew up with him. i would love to have this book. I am posting it to my giveway tab now at the top of my blog. Thanks for offeringthis! We'd like to read this book. Thanks. I'm a current subscriber via Google Reader and just became a follower. Really looking forward to reading this--please enter me. I would be interested in reading this book to get "the inside scoop" before the marketplace is flooded! +1 Please count me in on the contest! It is a shame as to what happened to Michael Jackson. I would love to read this. Great! Please count me in! RIP, MJ! I'm entering for the international contest. This is a book I really want to get my hands on. I always figured I would go before MJ did. He achieved Peter Pan status in my mind. He will always be 25 to me. Please count me in :) I've been a fan of MJ since I was 12 and he came out with Brown Sugar in the early 70's. thanks - this sounds like an interesting book! pls count me in. Please count me for this one! ~+1~ I got your email about the contest! (Thank you) This looks like a fascinating read. Not only would I love to read this, it would fit in two challenges! I'd love to win + read this, please accept my entry! I would LOVE to read this book - please enter me! would love to win this one! thanks for the giveaway! I would love to win this book! I am a current follower. Such a tragedy........I'd love to read this book...I've seen J. Randy Taraborelli in some tv interviews lately, and he's very interesting. I heard a radio interview with J.Randy Taraborrelli and I'm dying to read his book! Please enter me in the contest. Thanks! I'm actually about Michael's age and from Indiana, so I grew up listening to him. I still have his VINYL (told ya I was old) record of thriller. I signed up to follow #1. I signed up to follow #2. I have always liked Michael Jackson and his music and sympathize with the hard knocks he had as a child, a musician and a dad. It's such a shame he left us so soon. sierramuse8 at aol dot com. I signed to follow you and subscribed to emails. sierramuse8 at aol dot com. I would love to win this for my daughter, she loved M.J. I am a big fan of Michael Jackson. Like everyone else I have a newfound interest in MJ. This book will fill that craving. I would love to win this book. This would be very interesting to me to read. Gosh, how did I miss this giveaway! Sounds like a great book! Please enter me in your giveaway! I grew up listening to Michael Jackson. Can't say I liked his lifestyle, but the music stands alone and reminds me of my teenage years. For those memories I am sad. I would love to learn more about Mr. Jackson's life! I'd like to see the pathology from the start. I love his book about Miss Ross so you know this will be a sizzler. I would love to read this book. If I win, it will also be read by my sister & my Mom. I was devastated when he passed away on my sister's birthday. My musical idol, who shares the same birthday as I do (aside from birth year '58 and '85), was a great entertainer and human being, and I would love to win this. I love M.J. thanks for the giveaway!!! I Love M J thanks for the giveaway!!! My kids and I would really love this book! We really loved MJ! Please pick me!!!! I can never get enough information about the incredibly talented, Michael Jackson. I would love to read this book. Thanks for the opportunity. I would love to read this! Thank you so much for the giveaway! I would love to win this. I grew up watching Michael Jackson perform. RIP King of Pop. I great talent has left us. It is sad that he was so troubled. 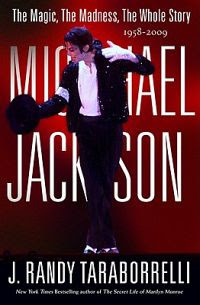 Would love to read this book...I have been a Michael Jackson fan for since he appeared on that Ed Sullivan show. We grew up together. Hey Yvette! I finally made it... yep before I go to work I figured would be my only time =)! But I am here to drop my name in your magic hat! I promise the next contest you have I will pimp that one out! I am sorry I missed this one! I would like to read the book for myself. Don't think I ever knew the real story and would interested in finding out. I would love to learn more about Michael Jackson. Thanks for the giveaway! I would love to get this book for myself... looks good. I've loved Michael Jackson since I was a child as he's just a few years younger than me. We danced to his music when I was a teenager. My husband thinks he is a child molester. I think he was extorted for money by those greedy families. 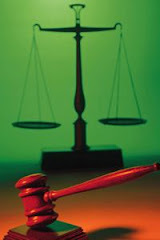 If their child wastruly molested they would want criminal charges not money.